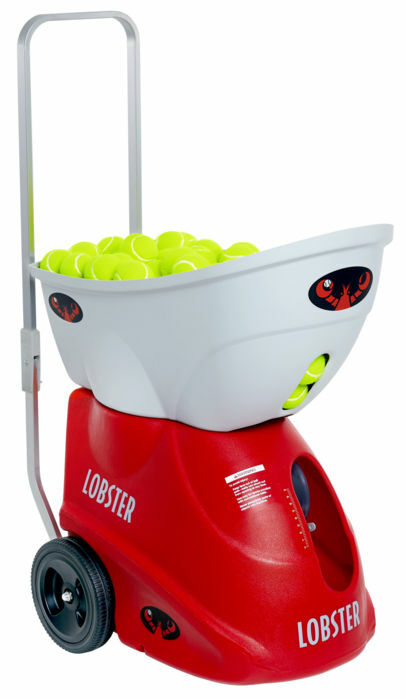 The Lobster elite freedom portable tennis ball machine is equipped with features that are not found on any machine in its price range. This tennis ball machine boasts large ball capacity, oversized wheels, extendable handle and extreme portability at 35 pounds. 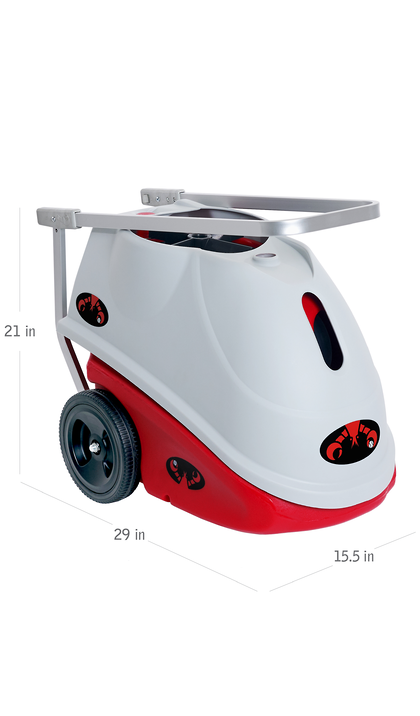 These features allow for easy transport even when the hopper is filled with a 150 balls. 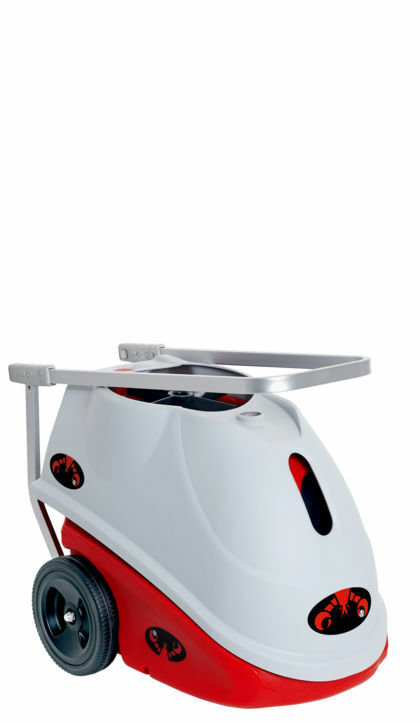 Enjoy playing against such advanced features such as full corner-to-corner random oscillation, 50-degree lobs to practice your overheads, and speeds that exceed 65 miles per hour. 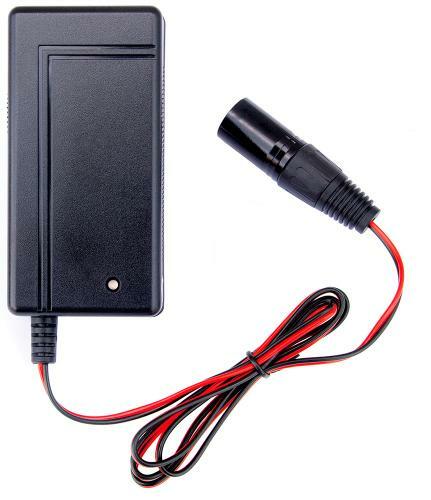 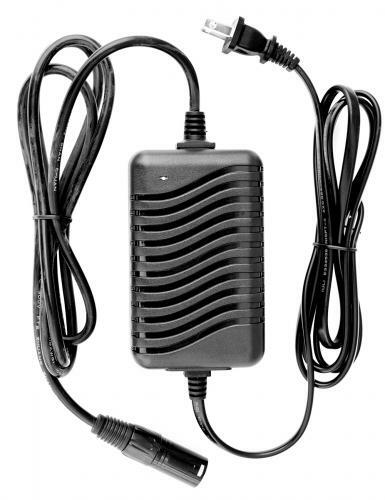 A 2-4 hour battery allows you the freedom to play anywhere at any time. 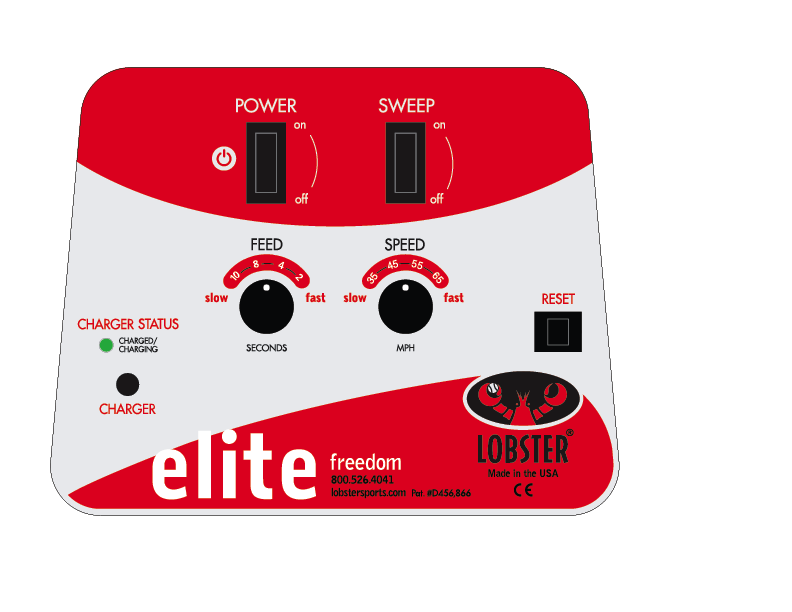 If you want a tennis ball machine with additional oscillation features, find out how the elite liberty and elite one models may better fit your playing needs. 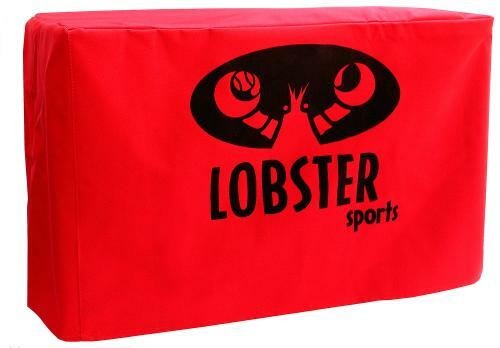 Copyright © 2019 Lob-ster Inc. All rights reserved. 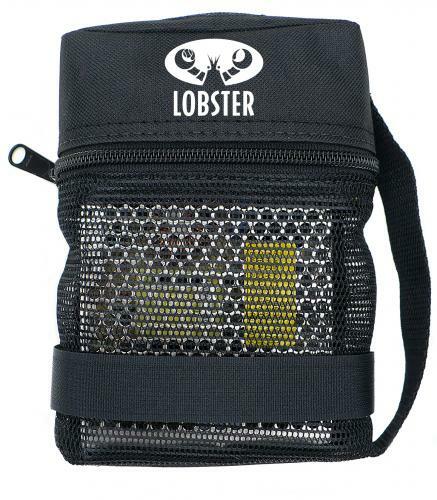 The distinctive product configuration of the Lobster ELITE are registered trademarks of Lob-­ster, Inc.